The winter months take their toll on our skin, I’ve been breaking out with eczema and my skin is visibly dry. Green People kindly sent me a duo of products to tackle my winter issues as part of their February Fixer campaign. I received the Neutral Light Day Moisturiser and Neutral Scent Free Hand & Body Lotion. I’ve recommend the Neutral Scent Free range on more than one occasion over the years. It’s ideal for anyone with sensitive skin especially those who need to avoid perfumes and essential oils. The Light Day Moisturiser was a Silver winner for Problem Skin in the 2016 Free From Skincare Awards so I know it well. Don’t be put off by “Light” in the product name. This is a hydrating cream which easily tackles my dry skin but there isn’t any greasiness so it sits nicely under makeup. The ingredients are ideal for a number of skin problems. To name a few there is avocado for nutrients, jojoba oil to balance sebum, willow bark for anti inflammatory properties and chamomile to soothe irritation. The Neutral Scent Free Hand & Body Lotion is another good product in the range. I have found there is a lack of fragrance free body lotions and I can understand why that might be. I’m certainly someone who has used body lotion as a replacement for perfume so it can be hard to switch however it has become a necessity in recent years. The Green People body lotion contains shea butter and olive oil to help moisturise alongside ingredients such as marshmallow, chamomile, aloe vera and evening primrose. I find it a perfect balance, with lightness to allow easy absorption so you can dress quickly but hydrating to tackle dryness and keep it under control across the day. Looking over the ingredients for both products I spotted Perilla which is one I’m not familiar with. Green People’s website explains that Perilla is high in Omega 3 fatty acids, is ideal for eczema and dermatitis because it’s soothing and repairing, antiseptic properties may be helpful for acne and retains moisture in the skin. It sounds like the perfect all-rounder so I can see why they include it in formulations. I’ve used Green People for years, long before I started blogging so I’m more than comfortable with recommending their products. We don’t always see eye to eye on some details but I find them trustworthy for sensitive skin and they cater for all ages. 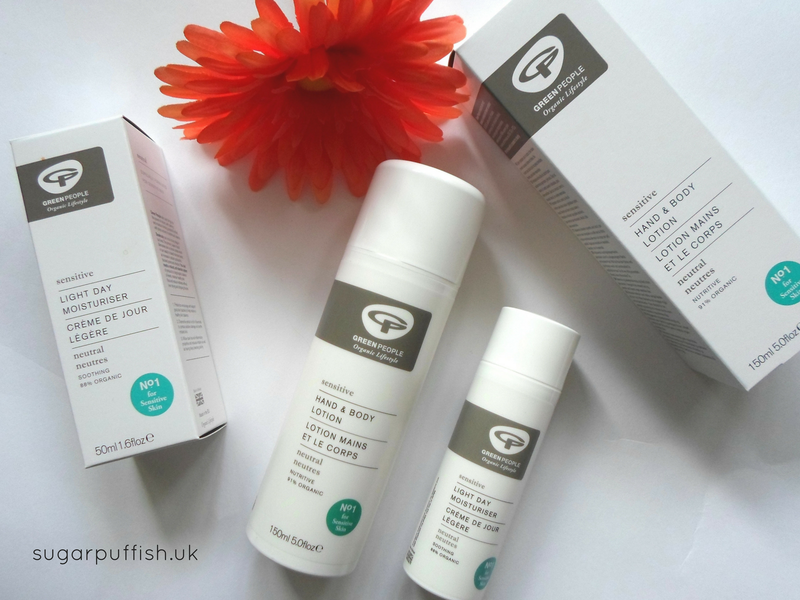 Have you tried Green People's neutral scent free range? Do you have a favourite product?